The Meetings Industry Association (MIA) held their Agent Day at Mythe Barn on Thursday 27th April. With the aim of giving venue representatives the opportunity to meet agents face to face and build relationships the sell-out event was attended by over 15 agents and 100 event professionals representing venues from Torquay to St Andrews. 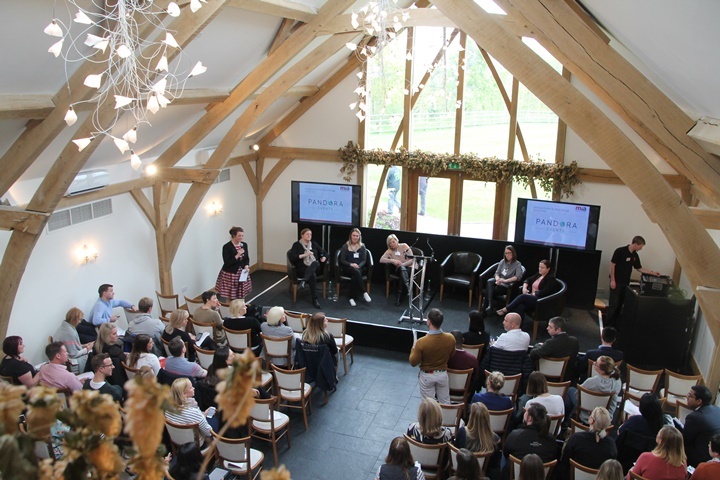 The morning started with a question and answer session in the Oak Barn with a panel of leading venue finding agents on the stage taking questions from the audience. A delicious three course lunch was served with the agents moving to different tables for each course to talk with a many venue representatives as possible. After lunch attendees got together in their groups to take part in a soap box racing team building challenge provided by Garlands Corporate, with at least one agent assigned to each group. Groups had to try and achieve a variety of different tasks to earn points allowing them to buy kit to style their go cart. Some great carts lined up for the time trial race around the obstacle course and the energy and enthusiasm from all of the teams was phenomenal. To finish, awards were presented to the winning team and the day ended with a celebratory drinks reception and another opportunity for networking. The next MIA agent day will be held on Wednesday 30th August 2017 at Robinson College, Cambridge http://www.mia-uk.org/event/mia-agents-day-5/.